London, United Kingdom - BasyBoyApps today is pleased to announce the release and immediate availability of Social Feeds 1.0, available on the iPhone, iPad and iPod touch. Social Feeds is an application that merges your Facebook and Twitter feeds into one. 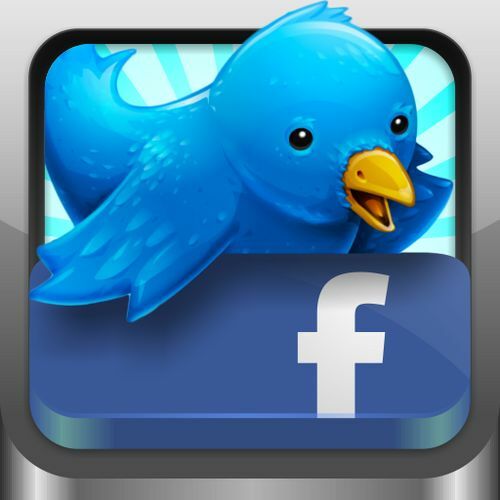 Whether you have Facebook, Twitter or Facebook and Twitter, Social Feeds is perfect for you! With the Social Feeds, you can stay up-to-date with your social networks, as it combines the two largest social networking services; Facebook and Twitter. The feed offers many clever gestures such as 'swipe a post to view comments, replies and likes' and 'tap a post to view menu bar'. Social Feeds is available on iOS 4.3 and has been enhanced for iOS 5 users! Not only is the app extremely useful, as it lets you update and keep up to date with your multiple Facebook and Twitter account, but it offers a stunning cutom user interface: The feeds are beautifully presented with color coded names and bars on the side of each post telling you if it's from Facebook (dark blue bar) or from Twitter (light blue bar). You will also discover many great features such as the menu bar which, when a post is tapped, slides below your post allowing you 'like', 'comment', 'Retweet', 'Favorite' and 'Reply'. 'Social Feeds - Facebook & Twitter Combined' will be on a launch promotional sale, from it's launch until Christmas Day - available for only 99c/69p. On boxing day 'Social Feeds - Facebook' and 'Social Feeds - Twitter' will be avialable on the appstore, for users who only use Facebook or only use Twitter -they will be available for 99c/69p each, whilst 'Social Feeds - Facebook & Twitter Combined' will be moved up to $1.99/1.49. Located in London, United Kingdom, BasyBoyApps is an independent developer whose aim is to provide users with exiting, strategic games which benefit their reflexes, eye sight and more. The company Basyboy has been producing apps for the app store for over a year, and currently has well over 20 applications live on the app store. Copyright (C) 2011 BasyBoyApps. All Rights Reserved. Apple, the Apple logo, iPhone, iPod and iPad are registered trademarks of Apple Inc. in the U.S. and/or other countries.